Software as a Service (SaaS) is a software distribution model in which an external provider hosts applications and makes them available to customers through the internet. SaaS is one of the three main categories of cloud computing, together with infrastructure as a service (IaaS) and platform as a service (PaaS). In the SaaS model, the provider provides customers with network-based access to a single copy of an application that the provider created specifically for the SaaS distribution. The source code of the application is the same for all clients and when new features or functionalities are implemented, they are distributed to all clients. Depending on the service level agreement (SLA), customer data for each model can be stored locally, in the cloud or hybrid (both locally and in the cloud). Organizations can integrate SaaS applications with other software using application programming interfaces (APIs). For example, a company can write its own software tools and use the SaaS provider APIs to integrate those tools with the SaaS offering. There are SaaS applications for critical business technologies, such as email, sales management, customer relationship management (CRM), financial management, human resources management (HRM), billing and collaboration. The main providers of SaaS include Salesforce, Oracle, SAP, Intuit and Microsoft. SaaS applications, such as Recordia and eComFax, are used by a variety of IT professionals and business users, as well as senior executives. 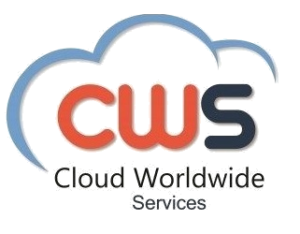 Lowest initial cost: SaaS is generally subscription-based and has no initial license fees, which results in lower upfront costs. The SaaS provider manages the IT infrastructure that runs the software, which reduces the fees for hardware and software maintenance. Quick configuration and deployment: The SaaS application is already installed and configured in the cloud. This speeds up the start-up process, since you only need to register in the SaaS solution and some other small configuration. Simple updates: SaaS providers take care of hardware and software updates, deploy updates on hosted applications and eliminate this workload and responsibility of customers. Accessibility: All you need to access a SaaS application is a browser and an Internet connection. It is usually available on a wide range of devices and from anywhere in the world, which makes SaaS more accessible than traditional enterprise software installations. Scalability: SaaS providers generally offer many subscription options and flexibility to change plans when necessary, for example, when your business grows or when more users (employees) need access to the service. SaaS, and more broadly, cloud computing, can help you make the most of a limited IT budget, while providing access to the latest technology and professional support. Learn more about our SaaS solutions: Recordia for recording interactions in the cloud and eComfax an advanced messaging platform.